FORT COLLINS, Colo. – Colorado State swimming & diving head coach Christopher Woodard has announced the addition of Louisville-transfer Silvia Guerra to the team’s roster for the 2018-19 season. The breaststroke expert will have two years of eligibility remaining and will be able to compete beginning this fall. Guerra, a native of Torino, Italy, competes in breaststroke and IM events. She posted a collegiate-best time of 1:00.53 in the 100 breast (sixth-fastest in Louisville history) and 2:11.48 in the 200 breast (ninth all-time at Louisville). She earned NCAA ‘B’ cut status in the 200 breast last season. 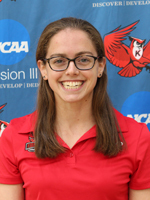 The former Italian Junior National Team competitor scored 38 points for the Cardinals at the 2016-17 ACC Championships, helping lead the team to a third-place finish. The team then went on to finish sixth at the 2017 NCAA Championships. Her personal best times in both the 100 (1:00.50) and 200 breast (2:11.15) would be program records at CSU. She will join a crew of Rams breaststrokers that include rising sophomore Maddie Ward (CSU record holder in both the 100 and 200) and rising senior Nina Stitt. The above press release was posted by Swimming World in conjunction with Colorado State University Athletics. For press releases and advertising inquiries please contact Advertising@SwimmingWorld.com.